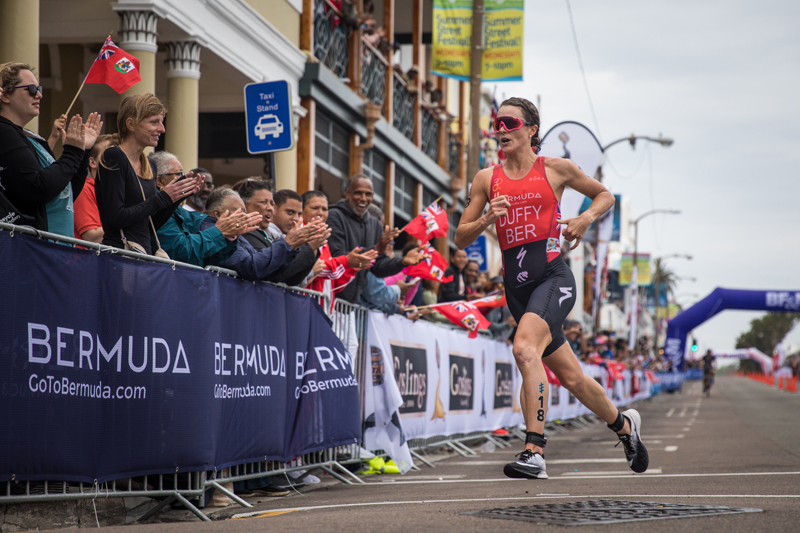 Bermudian Flora Duffy, the world number one female triathlete, has set up a fund with the Bermuda Community Foundation to support other young Bermudians. The Flora Fund will focus on helping aspiring and talented athletes to achieve excellence. “I could not have successfully pursued my dream of being a professional athlete without considerable help,” said Flora. “Competing at the highest level of any sport requires constant funding and encouragement. I am massively grateful for the private and corporate support that, along with my family, enabled me to get there. Through her advisors, Dad, Charles and husband, Dan Hugo, Duffy was connected to the BCF via a referral from Kevin Hickey, Senior Manager for Global Mobility Services at KPMG. 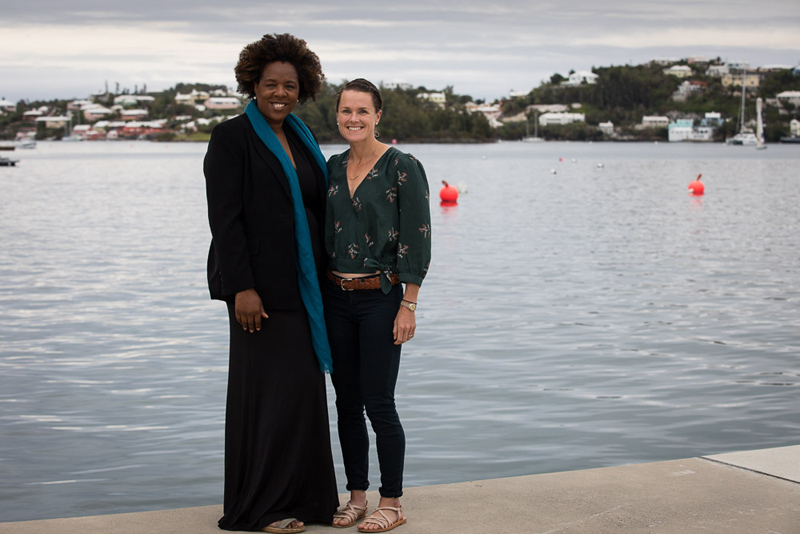 Duffy expressed her wish to enable aspiring youth in Bermuda to achieve their full potential by providing funding support for expenses like equipment, travel, training fees, event registration and coaching. The Flora Fund was the result. Born and raised in Bermuda, Flora has gone on to become an 8 x World Champion. 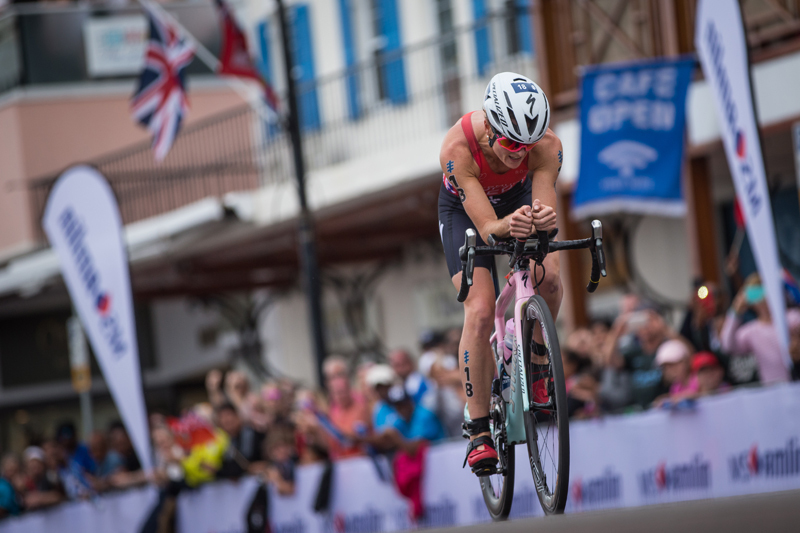 As the current ITU World Champion, Flora won the gold medal at the Commonwealth Games and followed that with a sensational win at the inaugural World Triathlon Series Bermuda. She started competing in triathlons at the age of seven as part of the Ironkids Triathlon series at Clearwater Beach. Flora started competing internationally in 2005, with her first major games representing Bermuda at the 2006 Melbourne Commonwealth Games. Flora went on to represent Bermuda at the 2008 Beijing, 2012 London and 2016 Rio de Janeiro Olympic Games. In addition to competing in ITU Triathlon events, Flora is the only person to win 4 consecutive Xterra World Titles, the off-road version of triathlon. “Flora believes that often a single act of support can be the difference between a young athlete graduating to the next level or becoming despondent and going a different direction. She often relates critical moments in her own career. It could be airfare, or annual coaching fees, or even just a pair of shoes for a talented kid unable to attain them, that could make the difference in her view. The BCF is a grant making organisation designed to create and manage funds for the good of Bermuda. BCF founding investors include: The Atlantic Philanthropies, Buchanan Charitable and RenaissanceRe. Bloomberg Philanthropies, Hemera Foundation, XL Foundation and Meritus Trust also made key contributions. Donors who share Flora’s vision for aspiring athletes can contribute to The Flora Fund here. Details on how athletes can apply for support from The Flora Fund will be made available later this year. Families or individuals interested in setting up their own Charitable Funds at BCF to improve Bermuda can learn more about donor-advised philanthropy at www.bcf.bm. What a wonderful example of generosity. Ms. Duffy is showing us how to pay it forward in our Bermuda community. Think of the impact her fund will have on the hopes, dreams and aspirations for generations to come. Her statement below captures the best of our Bermuda heroine. Flora, I was already proud of you but this is awesome! Another winning move! Thank you FLORA! Flora for Bermuda’s next National Hero! What an absolute star she is in every way. If she wins an Olympic medal yes. If she wins an Olympic medal? lol. She’s already accomplished more in her sport than any Bermudian athlete in history. She’s a multiple time world champion, and she destroyed the Olympic bronze medallist over the weekend. What more do you want? Oh! Did you set that criteria? After all her accomplishments, she can only be a ‘Hero’, if she wins an Olympic meda. Maybe you could help me out, how many Olympic medals did all of the other ‘Heroes’ win? This lady has spirit. Maybe her story will encourage change the approach to achieving success in our national team sports. The problem with our National team sports is its too expensive to compete regularly unlike other countries who have regional competition, we are too isolated. Lack of funding can sometimes be an hinderence for success, like Flora stated “without considerable help” it would have not been possible. And there are many people who have broken dreams because they are not in the position to have considerable help. Thank you Flora for your commitment.